Midwestern Gothic staffer Carrie Dudewicz spoke with photographer Michelle Pretorius about her creative process, how the Midwest defines her American experience, photographing seasonal changes, and more. Born and raised in South Africa, Michelle received a B.A. at the University of the Free State in Bloemfontein. She has lived in London, New York, and the Midwest. She holds an MFA in Fiction Writing and is a doctoral candidate in creative writing at Ohio University. Her first novel, The Monster’s Daughter (published by Melville House) is an American Booksellers Association Debut Voices pick and was awarded a 2016 FAW Literary Prize. She currently lives in Columbus, OH. ***Carrie Dudewicz: What’s your connection to the Midwest? Michelle Pretorius: I was born and raised in South Africa, but immigrated to the U.S. sixteen years ago. The first city I lived in was Milwaukee. Since then I’ve lived in Chicago, and in Athens, Ohio. I currently live in Columbus. The Midwest represents my new life, my new home in my new country. I’m a city person, and I like how Midwestern cities are a diverse melting pot, while simultaneously having an openness and warmth. I’ve taken so many Lyft rides with immigrants that tell me that (various cities) in the Midwest are the best place to live. I like that. CD: How did you get started in photography? MP: When I was a child, all I wanted was to take pictures with my parents’ camera. I couldn’t wait to get my own. That was in the days of the old point-and-shoot cameras with the film cassettes that you’d just drop in the back. Film was expensive and you had no control over what the end result would be with those cameras. Taking your film in to be developed was always hugely exciting, since you had no idea whether your pictures would actually turn out all right. I’ve always loved taking pictures in natural light and under low light conditions and, let’s face it, those old cameras needed everything to be taken in bright sunlight or with a flash. Which is why I loved the advent of digital. I never went to school for photography. My husband introduced me to more sophisticated cameras and techniques – he used to be an art and wedding photographer – and bought me my first DSLR. From there I started doing gigs as a freelance event photographer. I’m a writer, so I often find myself taking headshots for other writers I know as well. I have recently become interested in digital illustration and the art of photo manipulation. I’m only a beginner in the field, but am planning a project that combines story with digital imagery to explore the form further. CD: What are your favorite things/people to photograph? MP: I love fog, how it makes the familiar strange, and lends an air of mystery to the mundane. 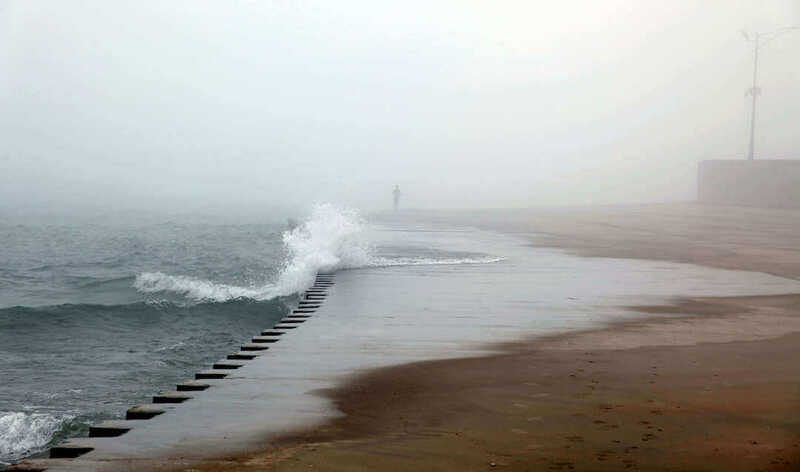 When I lived in Chicago, because of the lake freezing in winter and still being extremely cold once the seasons started shifting, we’d get the most amazing fog in the spring. If I woke up in the morning and it was a particularly foggy day, I’d grab my camera and spend hours at the lakefront taking pictures of people and the landscape in the fog. I particularly love that the equipment that can handle the lighting conditions so well and that with a few tweaks in post-production, I can precisely render the image I want to convey. I also really like taking portraits. Particularly women’s portraits. My experience has been that most women have a vulnerability, a variation in expression, that translates to some amazing imagery. Not to dismiss the guys! It’s just that many of the men I have worked with have trouble relaxing in front of the camera and just letting themselves be. Although, at the risk of contradicting myself, one of the most interesting portraits I’ve ever taken was of a man when I was doing a “test” shot for light, and he let his guard down. So, I guess I love photographing people when they are not aware of me doing it. You run into some trouble with this, obviously. Everybody wants control over their image, so it is harder to do candid street photography, especially now that there are cameras everywhere. The moment the camera comes out, people change. Which is less interesting. CD: What about the Midwest do you find the most beautiful? MP: I love the change of seasons here. We have seasons in South Africa, but not as pronounced and extreme. I experienced snow for the first time in the Midwest, and some of the most amazing fall foliage and fog. I have already gushed about my love of fog. I experienced fog while I lived in London, but I was more familiar with Chicago when the fog started becoming really dense and loved how it altered your perception of the city. I still find the weather in the Midwest to be wondrous. I’ve lived in New York City and traveled a lot around the U.S., even as far as Hawaii, but I’ve taken my favorite photographs here in the Midwest. CD: How do you think literature and photography interact? What benefits do you see in having photography as part of a literary journal? MP: Usually the two are not symbiotic. When we read, we form images in our mind. I could write a story and not two people would conjure up the same image when they read it. It’s part of the fun of reading, creating these worlds in our mind’s eye. A photograph shows you the exact image and feeling that the photographer intended to invoke. If an image accompanies a story, the reader usually uses it as a reference point. Which may be a great shorthand to place the reader in a specific environment. One place where image and story interact really well is children’s books, and I’m very interested in exploring the possibilities of the form further. I think that literary journals are about the art of story, in words, yes, but also the story that an image can invoke. I think a journal like Midwestern Gothic, that is focused on a specific place, is enhanced by including the visual expression of the photographers and artists in that place. CD: Is there a certain photo (or photos) you’ve taken in the Midwest that you love? If so, what was the inspiration behind these photos? How do these photos encapsulate the Midwest? 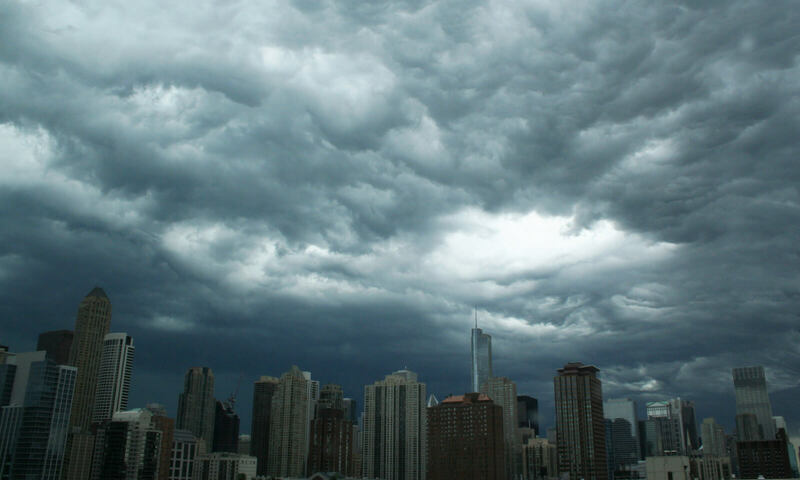 MP: I took a few great photographs of Chicago while I lived there. The city, with its extreme weather and constant change, is full of gorgeous imagery. 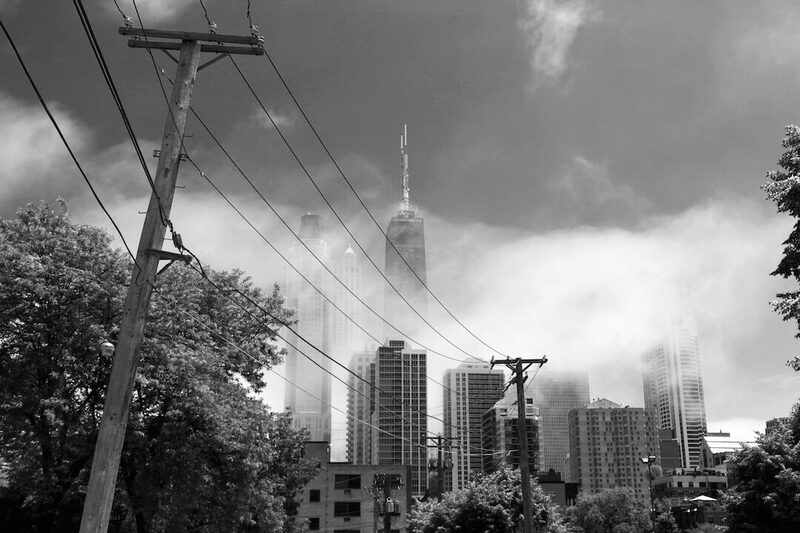 I’ve included a few I took of the fog and a city scape taken during some interesting cloud formations. Usually I don’t plan a photograph in advance. I tend to go out with a camera and see what happens. The concept and tone usually forms later when I edit the raw photographs in Lightroom or Photoshop. MP: I’m in grad school for creative writing at the moment, and I’m working on my second novel, so I’ve not had a lot of time to spend on my photography — but I’ve been taking classes in digital illustration and am planning a project in which I can combine my writing skills with my photography. ***Our Views from the Heartland series is a new series we started to give some recognition to the incredible photographers who submit their photos to us regularly. In it, we talk with some of our favorite photographers who we feel capture the essence of the Midwest in their incredible photos. Each month, we’ll post a new interview with a photographer in which we discuss their creative process, the intersection of photography and literature, and other fascinating topics.